Two little letters separate these battling words. But isn’t it like that? Two little letters can change a heart in a moment. When we allow contentment to be betrayed by our circumstances, we open the door to contempt. How many times do we let a circumstance issue that invitation for contempt? How many times do we let pride betray our secured spirit? How many times do we let insecurity cloud out our light? Last year about this time, my hubby and I were at an impasse over a hot button issue. For those of you that know us, bickering isn’t an uncommon thing for us. We’re very different people that complement each other greatly. That’s God’s design. Life would be boring without a little squabbling. Some of my favorite times of being married to this guy are the times where we test each other’s wit. It’s invigorating to have someone you love challenge your mental acuteness. But I digress. A year ago this week, I was in tears a lot. I was looking for something to be mad about. We were going to bed mad (something we don’t do). We’d think we were somewhere good and then, bam, another strike of anger would hit me. I wasn’t living out the promise I made four years ago to my marriage. I prayed this promise over my marriage four years ago because I was at the end of myself. I didn’t know how I could help my man find his way. So I prayed to get out of his way. For him to get out of his own way. It didn’t take long and a change started to happen. A beautiful change. A purpose was discovered. A like-mindedness was taking root. And then I started to let the circumstances slip back in. Discontent was knocking on my door. Insecurity was stealing my joy. The joy I discovered when I gave the circumstances up. I didn’t like that he wanted to spend time in the woods. Or at least that’s what I thought was the problem. I thought he didn’t want to be around us. I thought he didn’t want to help me with my still young son. He was planning a week in the woods after Christmas. He was planning to spend as much time as possible in a deer stand. And I didn’t want him there. I wanted him with me. I wanted him to give up something he loves for me. The world would tell you that I was right. He should want to be home with me. He should want to give up his hobby for me. But I was wrong. I was stealing his joy because my joy was off kilter. I now know that I had a hormone imbalance that was causing some of this stress. But I also know that I had a life imbalance. I was basing my happiness on someone else. I wasn’t sure where I fit in the world anymore. I didn’t know what I wanted. My daughter’s best friend was moving away. Her mom (one of my best buddies) was moving away. My son was starting to get really bad separation anxiety. I wasn’t happy. And you know what? Sometimes life isn’t happy. Sometimes friends move away. Circumstances are part of this world; not His world. I’m not always going to fit in this world; I’m not really part of this world. I wasn’t believing that truth, even though I was praying my heart out. I was praying for a heart change in my husband. I was praying to be okay with his passions. What I wasn’t praying for was a place of contentment in my own heart. I wanted to be okay with the hunting. I wanted to be okay with my friend moving away. I wanted to be just okay. We were okay. But I wanted more. I didn’t know what it was. He knew I was struggling to find my thing. 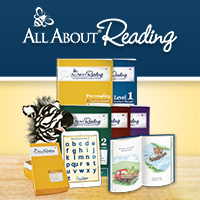 He knew I was struggling with two kids and the only purpose my days often had was smelly diapers and phonograms. Two kids with very different needs is tough on a momma. I can’t imagine how my own mom dealt with the needs of 10 different kids all at the same time. I couldn’t find my thing because I was distracted by my desire to make a little money. But moving schedules around wasn’t making it better. Nothing was making it better. So, what changed? I listened to my momma. I let it go. She told me to follow him to the woods. It didn’t matter where we were. What mattered was that we were together. Home is definitely where the heart is. Not a place. Not a feeling. I don’t love the woods. But I went. And he bought us a cabin. He made sure this yuppy was warm and toasty while he shot deer. I actually had some fun out there. But I still wasn’t happy. Then I found out I was pregnant. Talk about really unhappy. I was in denial. Despair is probably a better word. Don’t get me wrong. I am incredibly thankful for any baby given to me. But the timing was terrible. The man cub was only 9 months old. I was just starting to feel like I could sleep again. But we couldn’t change it. We couldn’t change the circumstance. But we could change how we approached the circumstance. Hubby thought it was sweet we were pregnant. All I wanted to do was cry about it. And sleep. I was really in a place of discontent. A place of contempt about my circumstances. I was letting them define me. Ugh. That’s a really sad place with a really mad face. There was a study released recently about the one factor that predicts what makes marriage last after six years. Kindness. The practice of kindness is the reason marriages last. Contempt is the thing that kills marriages. I can see how. I’ve had contempt in my marriage and it’s an ugly, useless tool we use when we’re unhappy with ourselves. 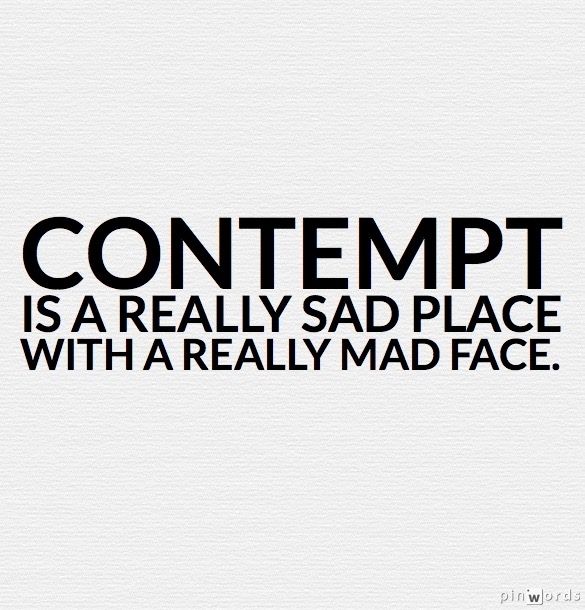 Contempt still creeps into my heart on occasion. But I have a giant fly swatter for it. I hunt it down and kill it with the intensity you hunt the buzzing pest. It’s imperative to me that I get a handle on being content. Despite the circumstances. Despite the desire to stomp around and get mad at everyone for nothing. And thank the Lord my husband calls me out on it. He points to the insecurity rearing its ugly head. He won’t stand for it. I love him so much for that bit of kindness. Walking on eggshells around a person with contempt in their heart breeds a deeper problem. It kills the relationship. It causes pain that isn’t necessary. Walking on eggshells is convenient because you don’t have to go through the hard stuff. You can just pretend that it’s all okay while contempt grows in your own heart. The kind thing to do is address the contempt head on. And recognize your differences with kindness. Kindness kills contempt. That baby that was causing all the tears? She was the answered prayer. The Lord’s way is not our way. I didn’t even recognize that she was the purpose. The thing that was going to help me find content. He gave us another child to help me find my place. I ran and ran from the voice calling from the wilderness, but at some point you have to listen. At least when you have two under two on the horizon. This year I’m thankful I know a little better how to deal with contempt and I get to see a picture of contentment lying on my chest every evening and every morning.